The Annenberg Learner offers many resources for both teachers and students. The World of Chemistry is a video series for High School or College Chemistry students. They can watch the video at their own pace to clarify concepts discussed in class. Although the series can be used on their own, I use it as a supplemental material to the Chemistry curriculum. Google Slides is my go-to tool for creating presentations. It’s also a wonderful tool for my students to collaborate on a presentation. However, there is no way to record a presentation directly on Google Slides. Thus, I have my students export their Google Slides as a PDF, then upload the PDF to VoiceThread to record their presentations. It works well with face-to-face classes, but even better for online classes for the annotation and voice comment abilities. Here’s an example of a student-created VoiceThread from my Global Health class in Fall 2015. Evernote is my go-to note taking app. The company’s motto is “Remember everything”. I can create notes with text, pictures, PDF, etc. I can access these notes from anywhere with internet connection. I love the ability to tag each note with keywords for ease of search. I can also organize notes into folder. And I can share notes and folders with others for collaboration. When I see an article I would like to read later, I use the Evernote Web Clipper (extension on Chrome) to save it to my Evernote account to read later. I use Skitch on both the MacOS and iOS to annotate images or screenshots. I use Scannable to quickly make digital copies, then save to Evernote. Are you looking for a tool to record a screencast? 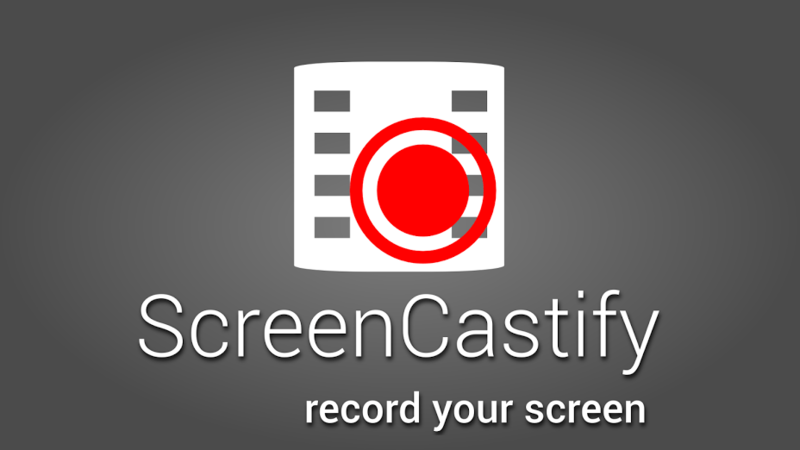 Screencastify is an easy to use tool for recording direction in your Chrome browser. The recorded video can be saved onto your Google Drive, downloaded to your computer, or uploaded directly to YouTube. And did I mention it’s free (for up to 10min recordings)? Canvas by Instructure is a Learning Management System popular among many higher ed institutions and gaining adoption by K-12 schools. I have been using for the past 3 years. It’s not perfect, but it really does streamline the workflow for my high school students. Below is a YouTube playlist of my How-to videos using Canvas to set up your course, posting assignments, etc. I have been fortunate to be a part of the Punahou Lab School this week for the iPads and Personalized Learning workshop. Wow, what a week it’s been! My cohort group was composed of STEM (science, technology, engineering, and math) teachers in middle school and high school lead by awesome facilitators – Kimble (KSBE) and Josh (St. Andrews). My role as the CRT (Curriculum Resource Teacher) is to help the facilitators and the participants with their tech needs as well as scheduling tours in summer school classrooms currently using iPads. Many of the teachers teach at various schools in Hawai‘i. We also in our cohort group, 3 math and science teachers from RDFZ in Xishan, China – an Apple Distinguished School. These Chinese teachers have already been using iPads and MacBooks in their classes. It was a great experience to work with all of these teacher this past week. Our teachers coming from different settings -some have classroom set of iPads, some have 1:1 iPad programs, some have a few iPads checked out once/twice a week. With that in mind, Kimble and Josh proposed this challenge for the cohort: “What is your iPad identity? How will you use the iPads in the classroom?” In order to address the different needs, the facilitators opted to present a mix of demonstrations on various apps as well as touching on current educational technology theories: SAMR, TPACK, Game-based Learning, and Jane McGonigal. We also spent time visiting many classrooms at Punahou: middle school Animation Sensation (making stop action movies), several middle school math classrooms, a high school math classroom, a high school Biology classroom using 1:1:1 (MacBook and iPad), and a high school Asian History classroom using 1:1:1 (MacBook and iPad). Each day, Kimble took a group of teachers to Kamehameha School and Josh took a group to St. Andrew’s Priory to visit additional classrooms. I was inspired by the energy, passion, and motivation of all these teachers in our cohort and those we visited. Reflecting on the Biology curriculum that I have taught, students have always struggled with the photosynthesis and cellular respiration. I found a couple of ready made photosynthesis NearPod presentations that I can use. I decided to make a NearPod presentation to explain cellular respiration with embedded videos and interactive polls. These NearPod presentations will be used in conjunction with the Elodea Lab for photosynthesis and cellular respiration. I’m also toying with the idea of having students do vlog (video blog) as a way for them reflect on their journey through Biology. I find that I get to know how my students learn better through their reflection. I’m hoping that these ideas will help to engage and motivate my students in Biology.